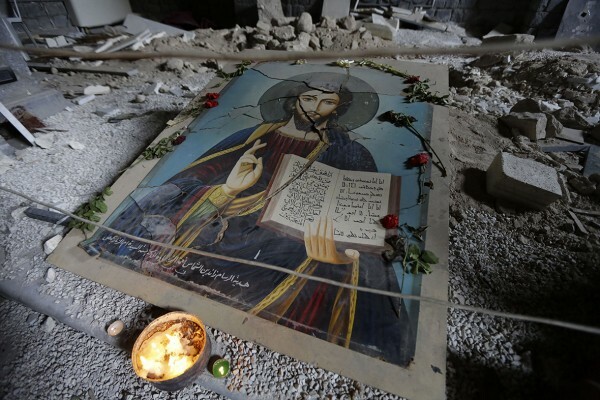 Moscow, June 3, Interfax - More than 60 churches and monasteries have been completely destroyed in Syria by militants since the armed conflict broke out in that country, Russian MP and coordinator of the inter-faction group for the protection of Christian valuables Sergey Gavrilov has said. Gavrilov and other Russian parliamentarians and Central Election Commission members have arrived in Syria to monitor its presidential elections. Gavrilov told Interfax-Religion over the phone that more than 70,000 Christians in the city of Homs and over half of Aleppo’s Christian population had been forced to flee their homes because of the hostilities there. At their meetings with Syrian officials, the Russian electoral observers noted that in Syria, which had always served as an example of good neighborly relations between different faiths, Christians were now facing “the threat of complete elimination”. “A crucial task for us is to formulate viable mechanisms to support Christians and resist their persecution,” Gavrilov said.